If all else fails, we can easily, effectively and efficiently tow your car to the nearest garage or repair shop and still get you out of the lockout situation quicker than you could imagine. Towing the car is not always the best or the only solution, sometimes the problem can be fixed right on-spot and our aim is to give the best situation in the shortest time. Thus, our experts quickly evaluate the problem and as far as possible resolve the issue right there and then. Our services are also extremely affordable because we want to take your hassles away, not add to them! Getting locked out of the car in the middle of the city or even or even on the outskirts can leave you feeling worried, clueless and anxious. Nobody wants to be in that situation right? 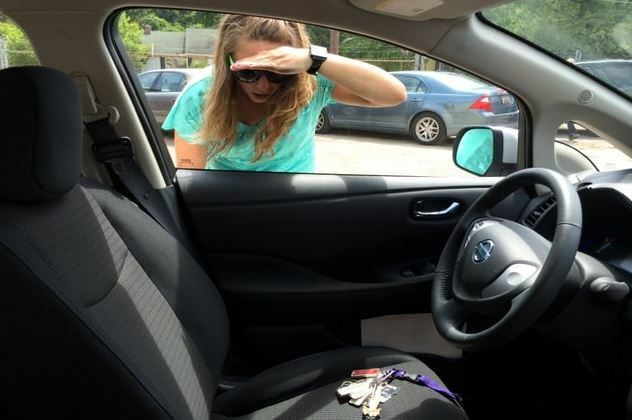 The fact is that every day, a number of people experience this situation – the dreaded car lockout! The good news is that most cars are much safer today with almost no chance of just breaking in or tweaking the lock, the bad news is this means you are stuck unless you have a professional by your side! But that’s not such a bad news when you have Top Notch Towing by your side, because we are always there for you, no matter where you are. We are based out of Salt Lake City and no all the ways around, making sure we reach you in time. We help people get out of a car lockout situation, everyday, all around the city. Whether you have misplaced your key or locked it inside the car, don’t panic we’ll deal with it! Why Choose Top Notch Towing for Car Lockout Services? Our services are fully reliable and we make sure that you get the best service and can always turn to us, in case of need. Car lockout situation can arise because of many reasons and we have the solution for all. We are equipped for it, through and through. We won’t keep you waiting very long as getting to you as fast as possible, is our top priority. We believe in quick action. Our car lockout service is carried out by a team of professionals who will be able to give you quick and effective solutions. We have the right tools and we are fully equipped to tackle all kinds of car lockout situations. We understand that emergencies need to be looked into right away! A Car Lockout is definitely an emergency and we are on it! Top Notch Towing is built by experts who understand the need to offer quality and complete satisfaction to customers. We understand that no one wants to be in such a situation and thus we make sure our services make it a pleasant experience for you. You can drive around Salt Lake City, with ease, knowing that our professional services are always looking out for you and your loved ones. Salt Lake City roads are wide and beautiful- go drive around and in case you get locked out just wait for us to come and get you out!